With over 15 years of experience we can help you transform your home with a range of beautiful concrete finishes. We are a family owned and run business that services Perth and it’s surrounding suburbs. 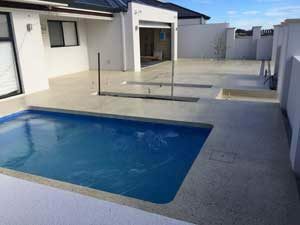 We specialise in decorative concreting, including exposed aggregate, honed & polished aggregate, liquid limestone and coloured concrete. Go with the right people for your outdoor investment that will look as good in the future as it does when it’s first completed. Call today and have your place ready for summer. See our colour range here!